Calling himself the Money Man, Floyd Mayweather invites both admirers and haters to drool over his eye-watering car collection of a Maybach, a Ferrari 488, and 7 Roll-Royces. The Money Man Floyd Mayweather’s time in the boxing industry has brought inspirations to people of not only the sport but any kind. The image of a guy who persistently absorbed fists and elbows from his opponents to eventually blow them away has been deep-seated in peoples’ mind as a tough example to follow and admire. 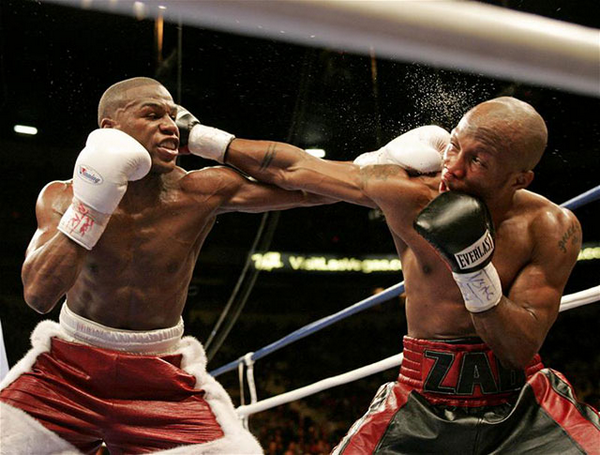 Not long ago, after an exhibition match against Japanese kickboxer Tenshin Nasukawa to promote for the Japanese MMA, Mayweather has reportedly earned $9 million and christened it by a new Rolls-Royce Cullinan and Mercedes-Benz G-Wagon. Now that his social media account is flooded with streams of new cars, let’s see what’s new in his fleet! 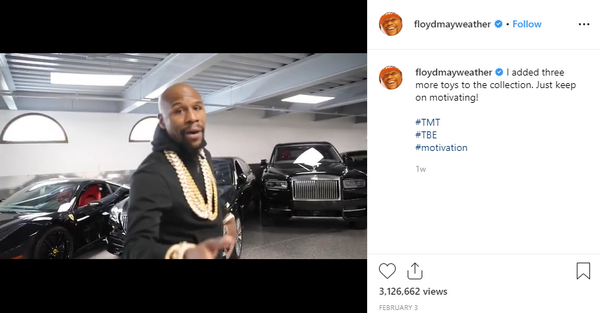 In a short clip he uploaded recently on his Instagram, Floyd shared the true gist of his showing-off posts and why people should call him the Money Man as we are accustomed to when referring to him. The clip leads us through the appearances of a collection of 7 Rolls-Royces that he describes as the Lucky Seven, a Maybach and a Ferrari 488.